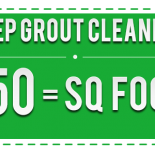 We here at Beyer Carpet Cleaning are tile & grout cleaning services San Antonio experts. We use the best equipment and chemicals to make your tile & grout services San Antonio look brand new! There is a whole process and professional customer service that we follow. Tile & grout cleaning services San Antonio are who we are. Not only do we provide the best tile & grout services San Antonio has but we also provide the best price per square foot. 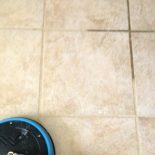 We are proud of our tile & grout cleaning services San Antonio and we are proud of the work we do. During the process we measure the area needed to be cleaned. We subtract any areas that are in the way such as a kitchen island. Then we put down an alkaline cleaner on the tile & grout service. We allow the alkaline to set for a couple of minutes to allow it to remove all the dirt and junk in the tile & grout. Once it is ready we scrub the tile & grout with a brush and then we bring out our big cleaning machine. We run the machine over the tile & grout to remove the dirt and alkaline. At the same time we are also steaming the tile & grout services San Antonio. So if you want your tile & grout services to be professional and to look brand new call Beyer Carpet Cleaning San Antonio. We will take care of all of your tile & grout services San Antonio with no fuss, no stress, and no headache. Beyer Carpet Cleaning tile & grout cleaning San Antonio we are committed to make you happy!